I’m not one to deny myself of chick lit books, especially Christian chick lit. I’ve mentioned it here a couple of times, but not in detail: I love chick lit. I love Christian chick lit, especially, because it’s clean, and it teaches good values that women should have, especially in a media-influenced world. 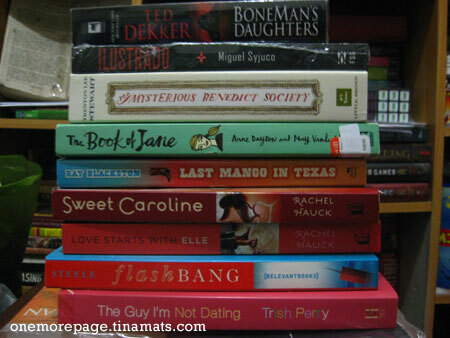 Not that I don’t like secular chick lit — I still do, but I’m picky at what to read. Call me conservative, but I really don’t like reading about how a couple consummates their love, especially if they’re not yet married. So this book from Trish Perry should just tickle my fancy: it’s chick lit, it’s Christian and it’s about dating and purity. Sounds good, right? Just right up my alley. It sounds good alright. Kara meets Gabe just some time after she had broken up with her ex-boyfriend Paul, and decided not to date until she feels that it’s God’s will for her. This presents a problem to her since she is very attracted to Gabe, and Gabe admitted that he was attracted to Kara, too. Despite all this, Kara wanted to follow and honor her promise to God so she tells Gabe just that, who respectfully backs down. On the other side of the country, Kara’s parents received a call from their Aunt Addie, requesting a visit. However, things go awry when Kara’s dad breaks his legs, so they had now way to bring drive by Addie and visit Kara. Meanwhile, Gabe’s sister, her boyfriend and her twin brother rides to Virginia to visit Gabe without the permission of their parents so he promises to drive them back to Florida after his deli has set up. Kara, feeling the need to visit her family and pick up Addie on the way, decides to join the trip. Her best friend Ren joins them, as well as Kara’s co-worker and constant pain in the neck, Tiffany. And off they go to Florida, with lots of side trips and the ever increasing attraction between Gabe and Kara. It’s a cute, wholesome story. If I read this a couple of years ago, I think I may have been enchanted with it and I would have been very thrilled at Kara and Gabe’s love story. But now, I’m not. Another thing that kind of got me thinking a bit too much with this novel is the plot. I have nothing against the concept of the story, which is mostly based on Joshua Harris’ I Kissed Dating Goodbye. I agree with the idea of not dating, and pursuing friendship first before romance. However, it’s just really hard to believe that everything happened like that. I may be biased because life’s jaded me a bit. Like I said, if I read this book a couple of years ago, I would’ve been smitten with the idea and I would have been dreaming of my own Gabe. It’s not that these things don’t happen, but it just seems too clean cut. This stems back to what I wrote on the previous paragraph — everything and everyone is just so happy, that it gets on my nerves. It’s not that I don’t believe in God’s perfect timing, or His plans for me and my romantic life. It’s just that if I were a new Christian who’s got her heart broken or is waiting for the one and I read this, I probably would follow this book like a dating bible because it seems like the perfect Christian setting. Which may be the case, but it doesn’t always happen this way. You know how we say that secular media influences our choices a lot, which makes us want to become thinner, more popular or do things that the Bible says is wrong? I kind of feel wary about this novel because to me, it presents another side of the story. We are not always surrounded by Christians. More often than not, we’re with people who do not share the same beliefs as we do, and we have to face it because it’s reality. I fear that reading books like these that present a sort of perfect Christian world and the perfect Christian romance may make women want the exact same thing, and miss out on other things that God has in store for them. I know that I would probably believe this with all my heart if I read this years back, and it would take a lot to rid me of them, especially if I have set my heart to follow that one path of romance. I’m not saying that this is a bad book. 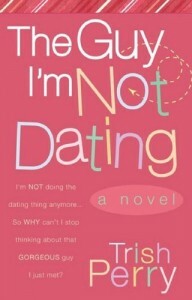 It’s funny, romantic and a good chick lit read, but I think reading this should really involve a lot of discernment. Kara and Gabe’s story is ideal, and it’s something that we women could pray for and hope for, but we must also be open to how God wants to write our love stories.